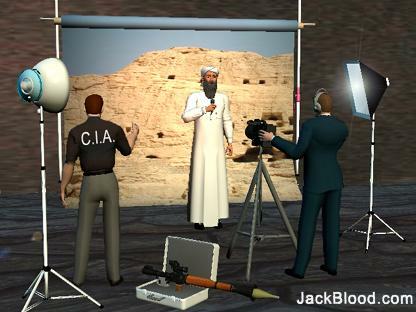 Interview with David Ray Griffin about his new book, "Osama bin Laden Dead or Alive?". We examine all the evidence, both that indicating bin Laden died, and that suggesting he is still alive; the important bin Laden videos and audio recordings, the significance, if any, in the timing of their release; statements by significant political and intelligence figures; and why the hunt for bin Laden must proceed. I really enjoy listening to David Ray Griffin!! If there is an archive of Dr David Ray Griffin talks, I would love to know about them. TomT on Tue, 07/21/2009 - 10:09am. Joe on Tue, 07/21/2009 - 12:42pm. SnowCrash on Tue, 07/21/2009 - 12:44pm. Thanks for posting this. David is amazing ! Richard D. Brinkman on Tue, 07/21/2009 - 1:25pm. if Big Bin is still alive. You know what they do with patsies. Look at Oswald. I could be wrong but I doubt it. 9-11 Joe on Tue, 07/21/2009 - 1:29pm. ...is the identification of his dead body. SnowCrash on Tue, 07/21/2009 - 1:31pm. Louis D. Krauss on Thu, 07/23/2009 - 2:40am. How can MSM ignore THIS book?? This latest book by DRG cuts to the heart of the whole Bin Laden story. It is posing a question about our arch-enemy who is the reason for our current escalation in Afghanistan. How is THIS out-of-bounds and not deserving of mainstream press coverage? David Ray Griffin should be on The Daily Show and Hardball for this! Is it "conspiracy theory" to say that Bin Laden has never been charged with the attacks of Sept. 11..... and we never got a white paper proving his guilt? Is it "conspiracy theory" to say that the FBI has no hard evidence connecting him to 9/11..... and his Most Wanted poster does not even mention Sept. 11? No. but it IS a conspiracy to continuously avoid discussing these things. RL McGee on Thu, 07/23/2009 - 7:20pm. but I don't recall ever seeing any 9/11 Truth author on the Daily Show. Ever! Au contraire. I recall getting exasperated many times as I'm watching Jon Stewart interview some guy who's written yet another book on terrorism or Al-Qaida, and Jon just goes along with it, essentially allowing the myth to self-replicate. I'm wondering if he doesn't have people like DRG or RG on his show because he knows it would be very, very, very hard to make buffoons out of them or their claims. If I'm right, then it's sort of a twisted back-handed compliment to them. That said, if he can have serious individuals on his show openly criticizing the government, why not give 9/11 a little airtime, too? And let's not forget Stephen Colbert, either. In his role of faux-rightwinger, I could easily see him mocking Richard Gage with a comment like "So you're saying that fire could not have caused the collapses and that, were that to be the case, the laws of science were suspended on September 11, 2001. Well, we've since learned that God planted the dinosaur bones for us to find and that evolution was a hoax. Maybe God snapped his fingers on 9/11 and made the jet fuel burn hotter than normal." Colbert's sarcasm would actually reinforce our message. milongal on Sat, 07/25/2009 - 4:21am.